San Diego, Calif., May 17, 2018 -- Pancreatic cancer is expected to become the second deadliest cancer in the United States by 2030. It is tough to cure because it is usually not discovered until it has reached an advanced stage. But a new diagnostic test developed by researchers at UC San Diego shows promise for detecting the disease earlier. “This test could be used as a primary screening strategy to identify patients who would subsequently need to undergo more expensive and invasive diagnostic methods like a CT scan, MRI or endoscopy,” said Dr. Rebekah White, surgical oncologist at Moores Cancer Center and associate professor of surgery in the Department of Surgery at the UC San Diego School of Medicine. 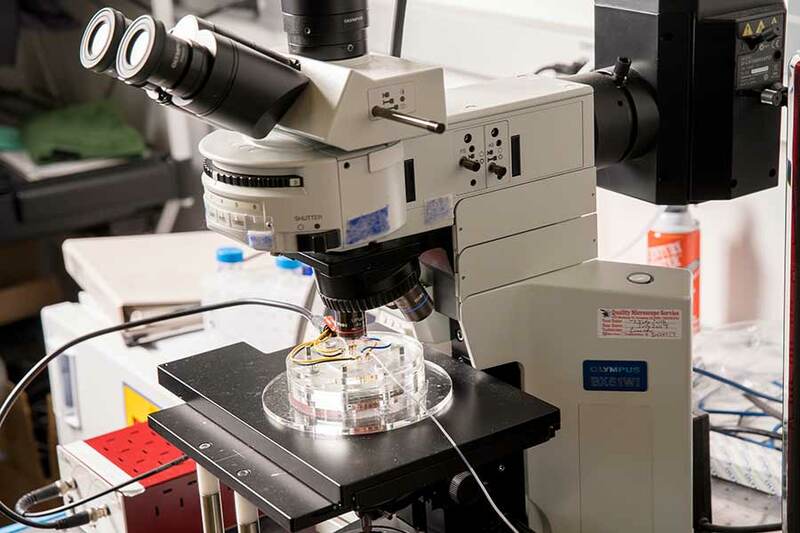 Full study: “Integrated Analysis of Exosomal Protein Biomarkers on Alternating Current Electrokinetic Chips Enables Rapid Detection of Pancreatic Cancer in Patient Blood.” Co-authors include Ankit D. Vyas, Yuqi Qiu and Karen S. Messer, all at UC San Diego.